The Vashon Island Growers Association (VIGA) began with a simple idea: create farming jobs on the island. In the 1980s, a few like-minded people started a Farmers Market and by 1990 had built a small structure to house the market. To help stabilize their efforts, the founding farmers applied to become a member of Washington Tilth, a statewide organization promoting local, organic agriculture. 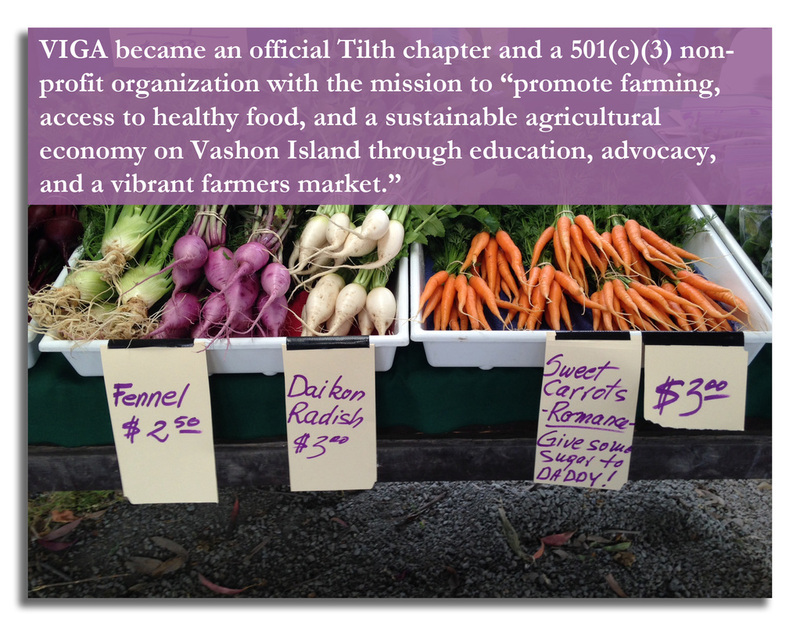 VIGA became an official Tilth chapter and a 501 (c) (3) non-profit organization with the mission “to promote farming, access to healthy food, and a sustainable agricultural economy on Vashon Island through education, advocacy, and a vibrant farmers market.” With this mission and vision in mind, VIGA worked to develop the Get Growing series, an educational program that focused on assisting people to grow more food for their families as well as for the Market. In 1998, VIGA received a grant to build a structure for the market, which sparked a community-wide effort to purchase the land it was built on. Over $200,000 was raised to buy the property, which was then gifted to the Vashon Park Department in exchange for a permanent home for the Vashon Island Farmers Market. VIGA’s focus on education continued and volunteers from the group helped Vashon High School start a horticulture program to grow fruits and vegetables organically. VIGA volunteers helped create the school garden and VIGA members have served as the faculty for the program since it was started. In 2009, VIGA secured the technology to take EBT cards at the Market, along with debit and credit cards, which allows food stamp clients to shop at the Market. VIGA didn’t want to stop there. They raised funds to establish an incentive program for SNAP (food stamp) customers, creating Market Bucks, which match up to $10 in EBT purchases per week. This has grown into VIGA's Food Access Partnership, which continues to provide the EBT match as well as a match for the WIC and Senior Farmers Market Nutrition vouchers and VIGA Fresh Fruit and Produce Coupons to island social service networks. In 2015, over $6,500 in Bucks and Coupons were spent at the Farmers Market and VIGA member Farm Stands. VIGA members are growers, producers and consumers, entrepreneurs and activists. The farmers grow with the health of the entire earth community in mind. Several are 'salmon-safe certified' while others are certified organic. But most important to them is their shared belief that a strong and resilient community cares for its members by providing healthy, sustainably grown food and ensuring that it both generates a decent income to those who produce it, and is broadly accessible. That ethic is what motivates and guides them. 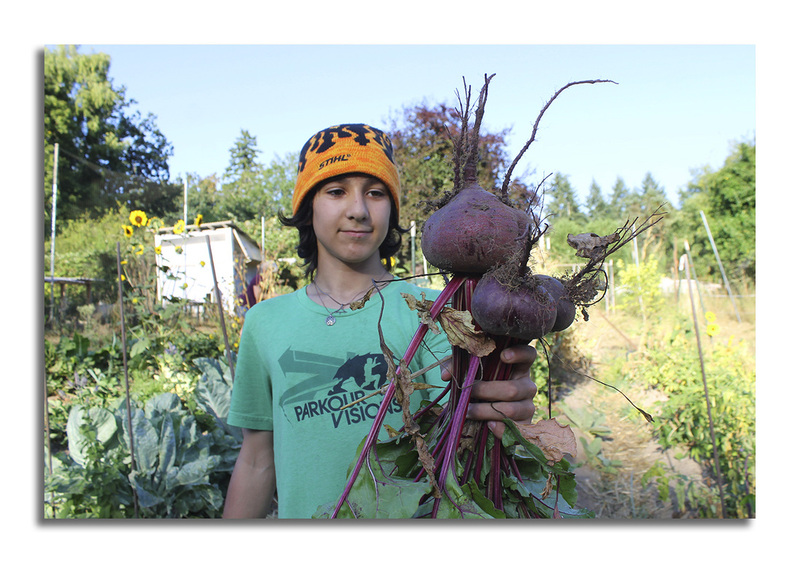 Today, VIGA is a thriving organization playing a major role in promoting and advancing agriculture on Vashon Island.